Mr. McCullough is a member of the firm's Tax and Estate Planning section. His practice emphasizes multi-generational planning and asset protection, small business planning including business succession, tax-exempt organizations and charitable giving. He specializes in legacy and domestic asset protection trusts providing a multi-generational approach to estate planning. His approach to business planning involves using trusts and buy-sell arrangements to effect continuity of family businesses. Mr. McCullough has assisted clients in forming and qualifying family charitable organizations to meet their philanthropic desires. 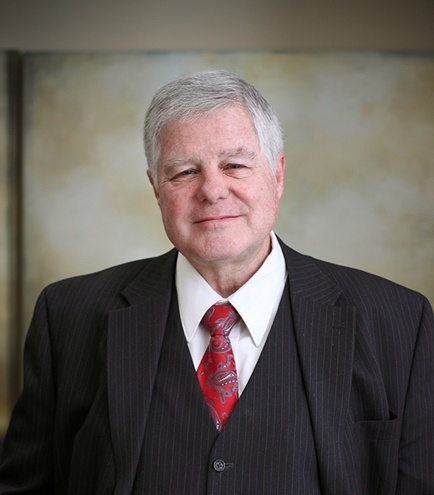 He is recognized as one of Utah's Legal Elite for estate planning. Provides clients with sophisticated estate planning focusing on a multi-generational approach for maximizing asset protection and minimizing estate tax exposure using domestic asset protection trusts, intentionally defective grantor trusts, charitable remainder trusts, limited liability companies, family charitable organizations and grantor retained annuity trusts. Practiced in small and large law firms, in-house counsel for large and medium-sized private companies as well as in state government. Served as a Trustee of a local charitable organization providing assistance to the healthcare industry.